Hey everyone! 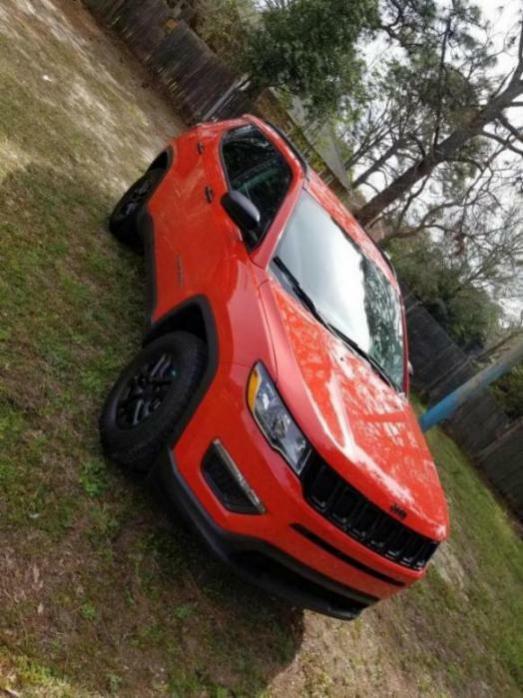 I finally threw some all terrain tires on my new compass. A guy got a set of tires in and told me to come see if they fit. They're 225/75r16 Ironman all country all terrains and I couldn't be happier. They look incredible. No rubbing. There is a good inch and a half at the closest part that would rub. And it lifted my compass a good inch! Huge difference. Never would have guessed that a 29" tire would fit, without some modifications. There is a good inch and a half at the closest part that would rub. I call bull****. 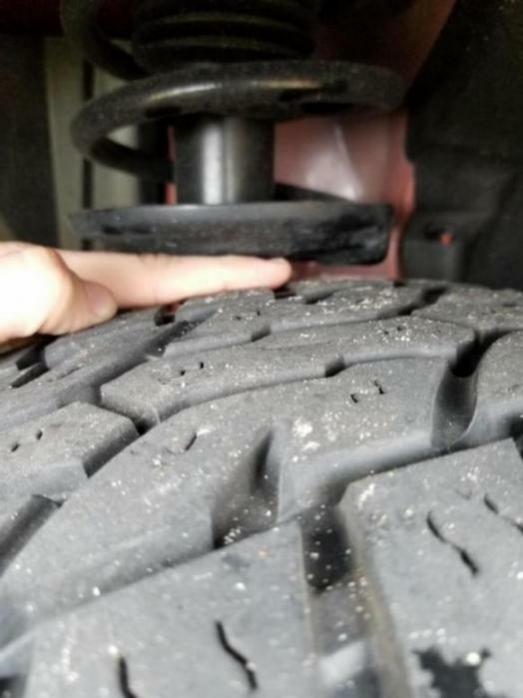 Picture of the front strut where it meets the tire, please and thank you. Also what is the offset of those rims. Did you plasti or powder dip your wheels? 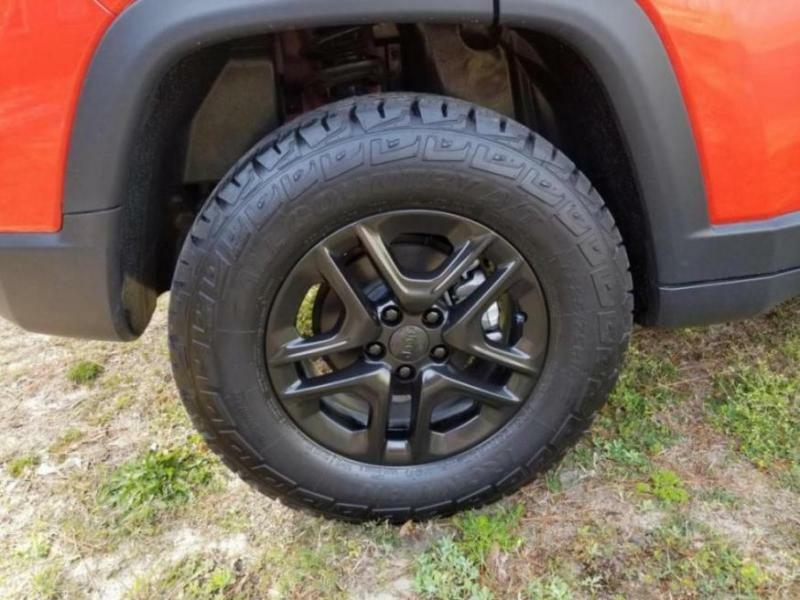 they look like stock jeep wheels or are they after market? Location: Two locations in NH: One near Concord, the other at the 45th. I only wonder about those rears if you hit some severe bumps or get to rocking. The front edge of the rear fender well looks mighty close. As you can see, the axle isn't centered in the well -- just a fluke in their engineering. 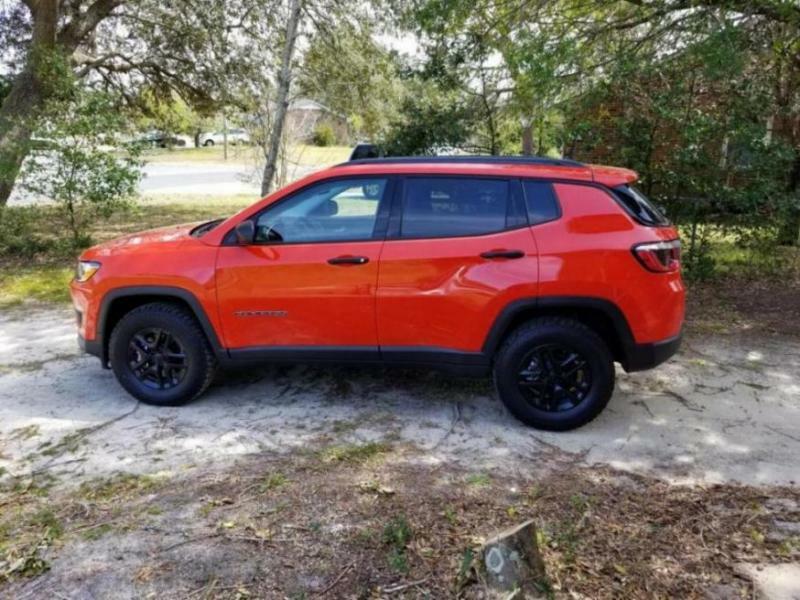 Anybody know if Renegades are that way too, or was FCA just trying to get a slightly larger body on the same platform? The front is no where close to rubbing. Only part close is the rear tire inside front there's about 2" of space. I drove around hit some bumps and hills hard not even a mark on the inside fender. Didn't rub once. It's Plasti dip and glossifier coating. I've done it a ton and got the technique down pretty well. Comes out smooth to the touch and shiny! So your tire is a 29.3X8.9R16 once converted. I didnt think it would fit. 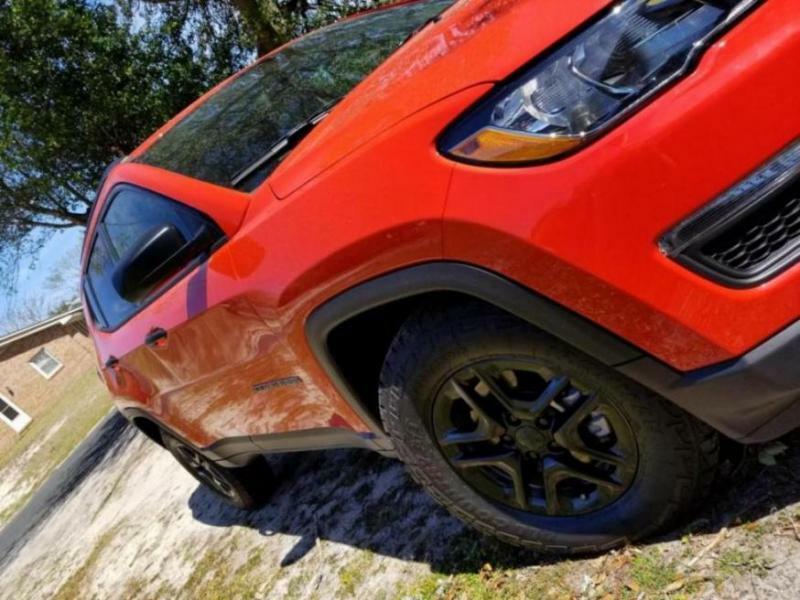 I have the Trailhawk with an aftermarket 1 3/4 lift and I was looking at a 235/6R17 (29X9.3R17) and am pretty confident that without wheel spacers the front will rub the bottomm of the strut spring mount. Also, without the lift, I would have thought the front of the rear wheel well would not support that size.... I am also running stock rims before we get into the offset discussion and have no intentions of buying new wheels. I actually think the stock wheels look fine and match the color scheme of the vehicle. But I dont know.... your Jeep looks great though. Look at my pictures of how little clearance there is for the stock tires on this discussion about tire chains we had a while back. I know the trailhawks have a little more room to work with but it seems they must have even more than I thought. Those pictures like I took of mine are what I want to see with your new tires, to understand how it can work. Thanks so much! Highly recommend. Cheap, easy, huge difference. 12 coats of black 3 coats of glossifier on top. Thanks a ton! I honestly didn't think it would fit either. He said come in and we will throw one on and see if it works. 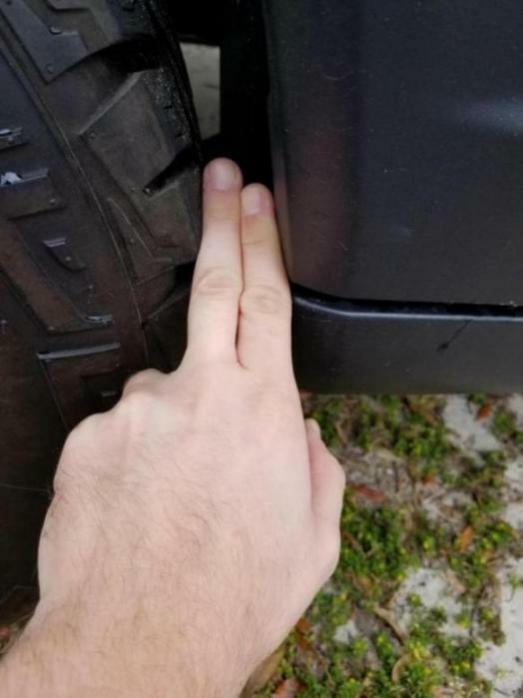 The front tire has about an inch from the struts, back tires have about an inch and a half from the wheel well on the inside where its closest. They're 29.3" Ironman is an affiliate with Cooper tires. I believe the width is almost more important than the diameter. I feel like if they were any wider they'd rub. 8.9" width 29.3" diameter and I literally haven't touched a thing in my wheel well driving around in 3 days. Here's a finger test haha. Front tire was turned in and on a slight incline. Probably much more space flat and straight. That's gonna be a bit tight when things get muddy.